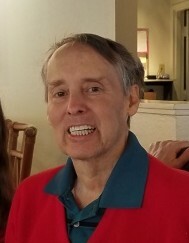 Dr. Dale R. Sebok, 61, passed away peacefully at home on April 3, 2019. Born in Akron, Dale had lived most of his life in Tallmadge. A graduate of the University of Akron, he earned his PhD from Purdue University. He was an Electronic Engineer for Lockheed Martin for 33 years. Dale had four patents. He enjoyed reading, cooking, electronics, gardening, and traveling. Dale was very creative and enjoyed 3D photography. Dale is survived by his sister, Diane (Dan) Palmer of University Heights; brothers, William L. (Clare) Sebok of Columbia, MD, David A. (Nancy) Sebok of Eagleville, PA, Thomas J. Sebok and Terry M. Sebok both of Tallmadge; nieces, Ashley Sebok, Emily and Katrina Palmer; nephew, Michael Sebok. Visitation will be 1 until 4 p.m. Sunday, April 7, 2019 at the Donovan Funeral Home, 17 Southwest Ave. (on the Historic Tallmadge Circle). Mass of Christian Burial will be 11:30 a.m. Monday, April 8, 2019 at Our Lady of Victory Church, 73 North Ave., Tallmadge with Rev. Michael Matusz. PROCESSION TO FORM AT THE CHURCH. Interment will take place at Holy Cross Cemetery. Memorial donations may be made to Our Lady of Victory Church.